This Landscape Character Assessment was commissioned jointly by Kent Wildlife Trust (on behalf of the Fifth Continent Landscape Partnership) and Shepway District Council. It is intended to inform both the Fifth Continent Landscape Conservation Action Plan and Shepway District Council’s forthcoming Places and Policies Local Plan. Romney Marsh is a unique landscape with a very strong sense of place. The character of the landscape today varies subtly across Romney Marsh, reflecting several centuries of land reclamation and coastal processes. These variations (and the history behind them) are identified and described in the Landscape Character Assessment. 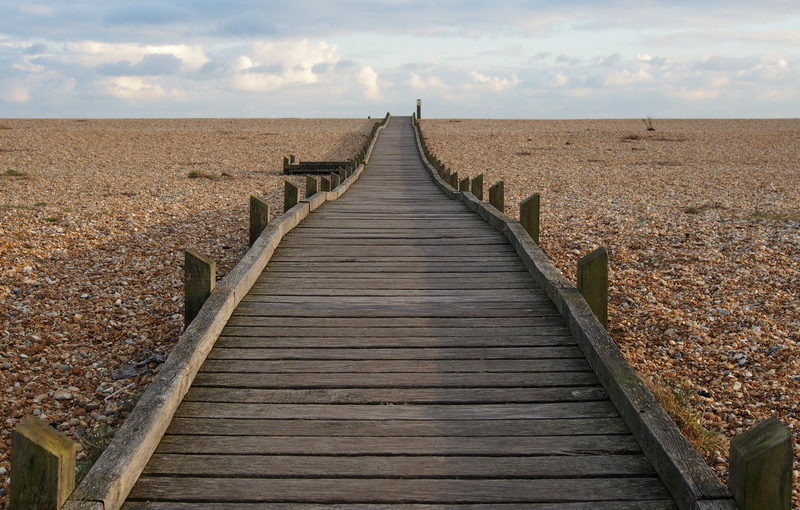 The study area also includes the distinctive shingle landscape of Dungeness, which is internationally-designated for its shingle habitats and the species they support, as well as being a popular destination for visitors. Following-on from the Romney Marsh Landscape Assessment, a separate study was undertaken as a pilot for a new approach to landscape character assessment which is being discussed within Kent. In this approach, the focus is on the features of the landscape that need to be conserved in order to retain the character of the landscape. The intention is that by showing how character is defined by patterns of features, the process will help to make informed decisions about the impacts of change and development on landscape character. The four landscape elements chosen for the pilot study were watercourses, rural lanes, shingle and parish churches.